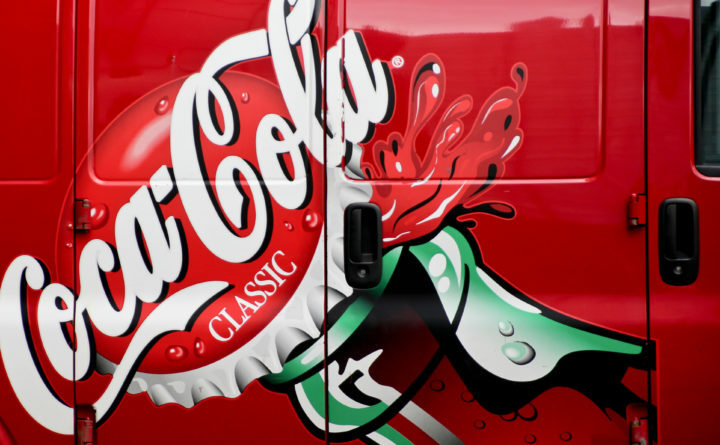 This Feb. 23, 2017, file photo shows a delivery van is painted with artwork for Classic Coca-Cola in downtown Pittsburgh. FARMINGTON, Maine — Coca-Cola says it is closing a sales office in Maine, and offering the 12 employees there other positions in the company. Spokesman Nick Martin said Tuesday that the closure of the Farmington office is meant to “optimize Coca-Cola of Northern New England’s network of facilities.” The Sun Journal reports the closure goes into effect Feb. 22. Martin says operations will be relocated to Bangor and South Portland-area facilities, and the company has offered people employed at the Farmington office positions there. The closure marks the end of a nearly 100-year era.